Not long ago I was babysitting my (at that time) less than eighteen-month-old grandson, Roman. 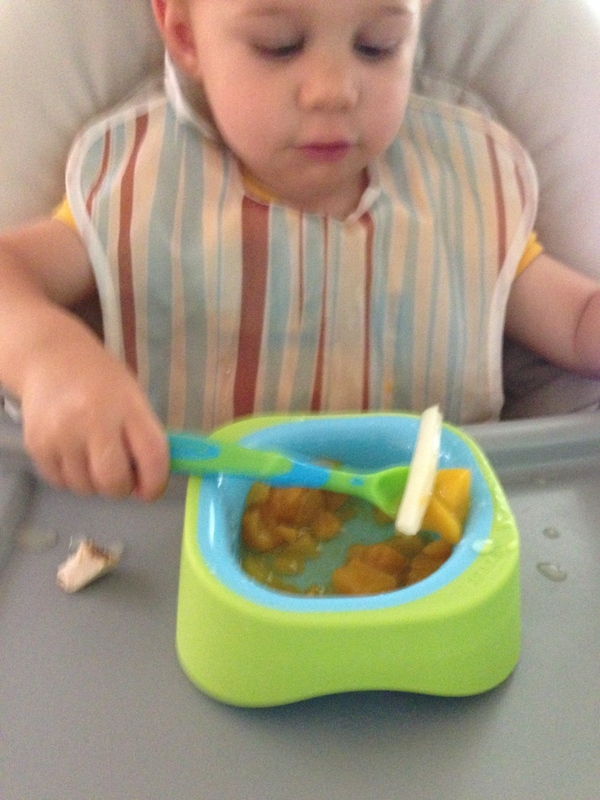 For lunch, his parents prepared a variety of items, two of which were peaches and some string cheese. I gave him his bowl of peaches along with his spoon. Tearing the cheese into smaller pieces I laid those on his high-chair tray. What he did next caused me to wonder. With each piece of cheese he methodically and carefully placed it into his bowl of peaches. He then ate them together with each spoon full. Spontaneously, we began to sing a made-up-on-the-spot song with the words: I got cheese in my peaches, I got cheese in my peaches, I got cheese in my peaches all day long — all day long! Later I realized that I too like cheese and fruit together. Years ago while in Scotland, I was introduced to a spreadable cheese which they taught me to place on my toast. Secondly came a beautiful fruit jam on top of the cheese spread. Ever since then, I have on many occasions, placed cheese and fruit jam on my morning toast. (Stop laughing and give it a try, it’s actually really good.) Perhaps Roman was playing with his food at the time, but he found a combination that worked for his taste buds. Traditions are like that. Some of them begin by mistake, but end up becoming a part of our life. The dictionary states that traditions are elements of culture handed down from one generation to another. Have you discovered some good and some not so good generational traditions handed down to you? I certainly have and it reminds me of a key, life-changing verse in the book of Peter that I am extremely thankful for. Raising and training children is one of the most important jobs on the face of the earth today. My wife and I had three awesome kids who somehow made it through preschool years, primary school, high school, college and then marriage. The test of parenting was always more about the parents than it ever was the children. We discovered that it was the grace of God that allowed us to make many mistakes and yet have whole and healthy adult children. Life was far from perfect in those days and our finances never seemed to go far enough, but that never stopped us from laughing around the table at mealtime, playing football in the front yard or going on low-budget vacations. Punishment has to do with me preserving my right to be angry with my child and keeping my posture as the one in charge. It says that my child must pay for what he or she did wrong. Punishment is often done out of anger lacking any training toward change, just simply a more powerful parent enforcing his or her will upon the weaker child. Punishment is more about inflicting shame and pain for wrongdoing. Correction, however, is not just about reward and punishment, it is more about challenging actions and shaping a will in a life-giving method. It is training out of a spirit of love. It is more about guiding and forming the spirit of the child rather than reinforcing the will of the parent. It is less about anger and more about what’s best for the child. Correction takes time to administer because it includes instruction toward a different and healthier future. Punishment on the other hand is normally abrupt, more about reaction and often with little thought. Proverbs admonishes us to “train” a child in the way he should go (Proverbs 22:6). That word train in the Hebrew is used in the imperative sense and literally means to dedicate. Are you as a parent dedicated to training your children through correction toward growth or simply punishing them for your own personal comfort? 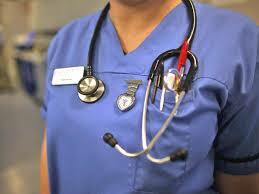 When it comes to doctors I am typically the “wait and see” type of patient. If I have an issue, I wait and see believing that it will eventually go away. But on those rare occasions when I do have a legitimate physical problem I have discovered that I do not like the waiting rooms (where sick people live, breathe and cough all over you), the clipboards with my address and phone update requests (yes, it’s still the same), the medical smells (especially the smells), the questions (which have become more and more intrusive), the waiting a second time in the examination room (sometimes longer than the first wait), the second set of questions when the Dr. actually shows up (Really, didn’t we already cover this?). I don’t even like the phone process that you have to go through to secure an appointment (I am people, you are people, CAN I TALK TO A PERSON?). The whole thing is just…well, unnerving, expensive and upon leaving I take one big breath (as if I have been holding it for the last 63 minutes) in the parking lot while running to my car. Enter my wife, Mary, my favorite nurse who works at the very same doctor’s office. She faces all of the above with far worse patients than her husband. She faces those whose frustrations have gotten the best of them; those who refuse to be weighed for obvious reasons, those who are dying a slow death; those who really do not need to see a doctor, but their health care pays 100% for the sniffles; those who do not bathe regularly and those who have screaming, out of control kids. It is her goal to be Jesus to her patients, to share compassion with those who are hurting, each and every one of them. Her stories of serving them in a loving and selfless way are a challenge to my faith. And, every once in a long while, just maybe, one of those patients will smile back at her, thank her or say some life-giving words like, “I wish you were my nurse every time I came to the doctor.” When I am sick, I am thinking about myself and not the one caring for me. It is these times and it is these places that provide a test of my own heart, a check on my attitude. I need to get over myself and remember that I represent Jesus as well. Someone once said that leadership is influence – no more, no less. However, leadership and management are not one in the same. A managers role is to manage, but leaders influence toward change. Are you doing more management today or more changing of those you influence? John Maxwell calls it “The law of influence.” That said, a major issue for nonprofit leaders is that we typically work with volunteers and not paid employees. Paid employees are leveraged by their income to do what their leader says to do or their job is at stake. Most local church leaders do not have that ingredient of leverage, only their influence via their relationships. Volunteers are not forced to follow the vision, they choose to and so much of that choice is connected to their belief in their leaders. Leadership in a not-for-profit can become more challenging than leadership within the marketplace for these very reasons.